How many times has that statement caused us to miss the most precious and beautiful moments in life? A tug on our coat from a grandchild, or an evening sunset with our spouse. Too busy to give a listening ear to a friend who may be hurting. Too busy to make that phone call you’ve been meaning to make to a friend or relative. Even too busy to remember important occasions, an anniversary date, birthdays, etc. It is true that life has a way of getting extremely busy. But it is also true that we have a way of making life busier than God ever intended it to be. Some will “stack the deck” of their schedule in order to avoid certain responsibilities that are far more important and precious, especially faith, family, and children. Others will increase, and sustain their own busyness because it makes them feel more effective, successful and “TYPE A”. There are all sorts of reasons why people find themselves in the constant use of the term “too busy”. The main reason is that life is not being lived according to the divine pace and will of God. Throughout history, we see powerful, important, and very busy people who took the time to slow down and spend some time in God’s presence. As a result- they not only lived a full, balanced and meaningful life – but they also helped others to do the same. Because they spent time seeking God, reading His word, taking a few moments for quiet prayer, they began to experience the supernatural assistance, guidance and help of the Lord. Neither their lives, nor the world, could strangle them or control them because they were learning to live their lives in the pace, power, will, and wisdom of God. 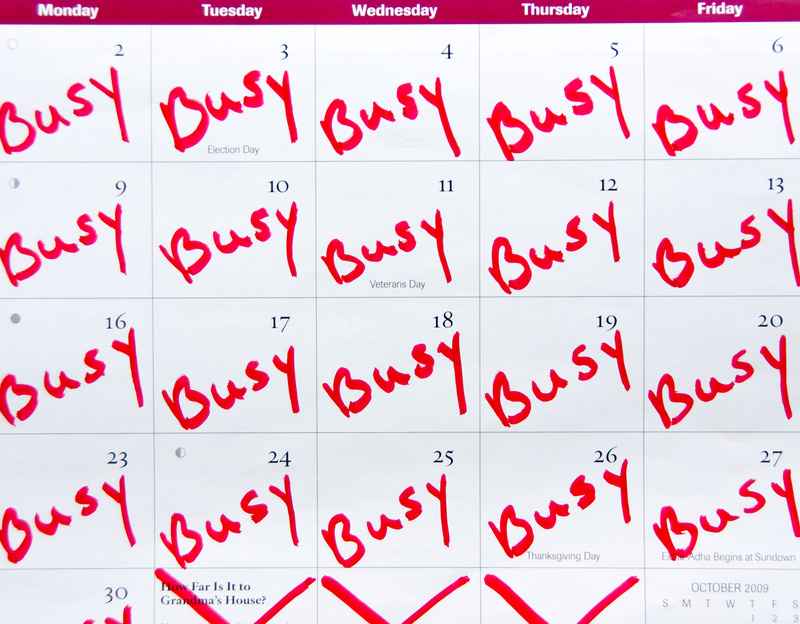 Don’t let the term “TOO BUSY” – either run – or ruin your life. “Do not conform to the pattern of this world, but be transformed by the renewing of your mind. Then you will be able to test and approve what God’s will is – His good, pleasing and perfect will.” [Romans 12:2]. Share a story of how God taught you the importance of living in God’s pace – and peace.